Another industry first! Shaped dimple dies. Set your fabwork apart from the crowd or use just the right shape to get the most weight benefit possible from your dimpling. 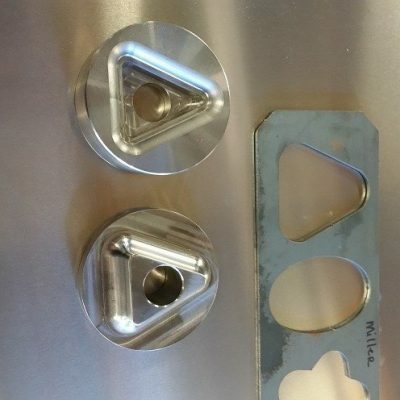 Triangular holes in your tube gussets or square holes in your tie plates will cut more weight than round holes. The stars make a great traction surface on steps too! 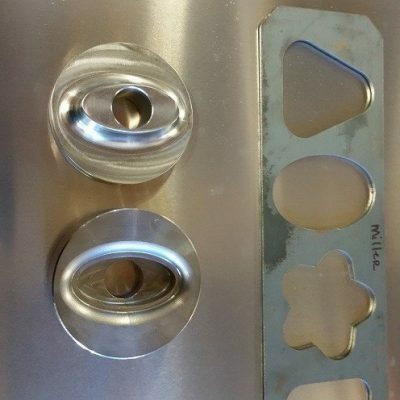 How to use: Cut your shape out on a plasma table, laser cutter, or with a grinder. 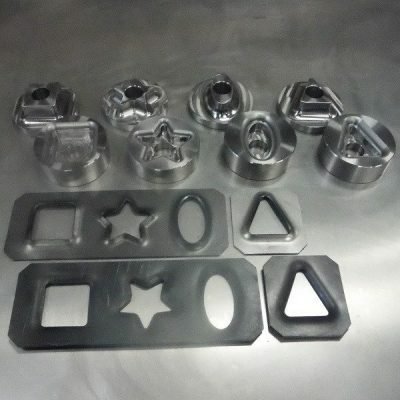 Use a bolt, H frame press, ironworker, or knockout driver to dimple the hole with these dies. These are machined in the US out of 4140 Chromoly that is made and heat treated here is the US. Shapes are 1.5-2 inches tall. 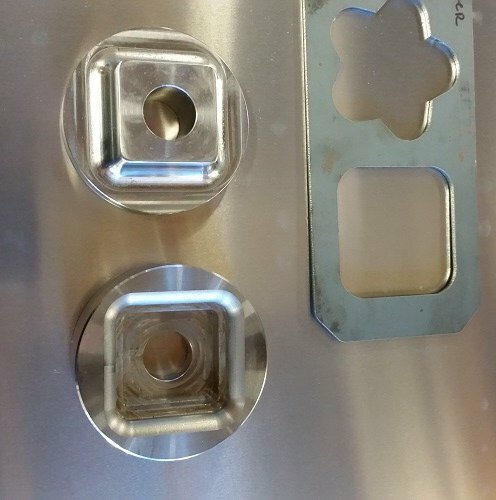 Max capacity 1/8 inch plate steel. Plasma cutter drag tip stencil (we have them to match your plasma cutter). DXF and PDF files of cutout shapes for your use in producing these shapes. These are seriously easy and fast to use! Check out the video! Don’t forget to subscribe.